While The Strypes' first album was their Dr. Feelgood album, all breakneck standard r'n'b and their second one was their "Oasis" album, this, their third offering was their "new wave" album. The influences of Elvis Costello & The Attractions, early Joe Jackson, Graham Parker & The Rumour and even The Buzzcocks in places. They blatantly use The Only Ones' "Another Girl Another Planet" riff on "Turnin' My Back" and "(I Need A Break From) Holidays" is incredibly "This Year's Model" era Elvis Costello, with its pumping organ sound and distinctive bass runs. Yes, they are very much a derivative, jackdaw-type band, but they plunder a different artist/genre for each album. I am not sure they do it because they can't think of their own stuff to write, I think they do it simply because they love the music and want to do music that sounds like it. 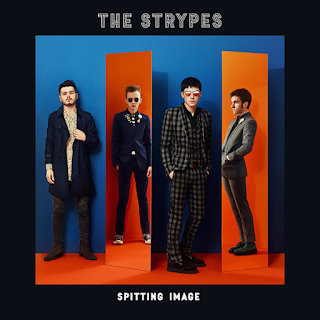 No different to Led Zeppelin or The Rolling Stones dipping endlessly into the blues, The Jam raiding The Who's sixties catalogue or Bruce Springsteen paying homage to Phil Spector. 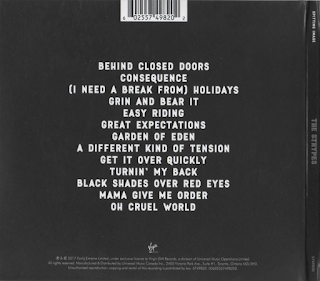 "Black Shades Over Red Eyes" is very Nick Lowe-esque, also from that same period/genre. It also has some very Byrds-like jangling guitar too. Lyrically and melodically there are hints of The Boomtown Rats. 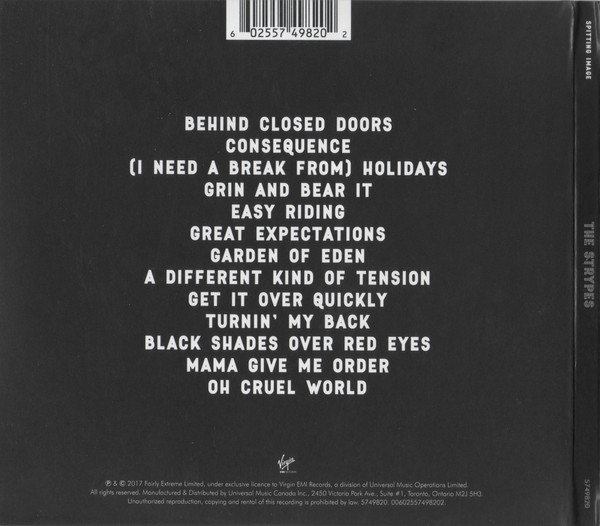 "Behind Closed Doors" begins like something by The Damned before going into Nick Lowe territory once more. It has a Secret Affair-influenced brass break in the middle and the a Boomtown Rats distinct pace change before a tumultuous finish. "Consequence" actually sounds sort of Magazine/Gang Of Four post-punk in places in its drum/guitar riff interplay. The "yeah-eh" vocal part is just like Elvis Costello's "Less Than Zero" and it harks back to the pre-Attractions "My Aim Is True" album. "Grin And Bear It" is back to The Boomtown Rats with some Squeeze-style lyrics. "Easy Riding" is more their own take on the genre, with less direct steals, even some corking blues harmonica too. "Great Expectations" comes clearly from The Boomtown Rats' "Someone's Looking At You", "Joey's On The Street Again" and "When The Night Comes", with shades of Thin Lizzy's street narratives thrown in. There is even a wailing "Rat Trap" meets Clarence Clemons saxophone at the end. "Garden Of Eden" is an evocative, mysterious, bluesy number that brings to mind Willy De Ville's solo work, albeit with a different voice but the cadences of the verses and melody are very similar to some of his stuff. This is my favourite track on the album. "A Different Kind Of Tension" has Elvis Costello meeting The Buzzcocks. The former musically, the latter for the title (a direct lift from the 1979 Buzzcocks album) and chorus. "Get It Over Quickly" is a thumping, typically new wave rocker with another Squeeze feel to it. "Mama Give Me Order" is a stark, acoustic ballad that is completely different to anything else on the album, with large hints of country rock Americana about it. "Oh Cruel World" has a Bo Diddley, "Mona"/"Not Fade Away" drum and harmonica intro and ends the album on a melodic, catchy, rhythmic note. As I said earlier, yes, this album has so many influences working on it, but it doesn't mean it is not an enjoyable album.